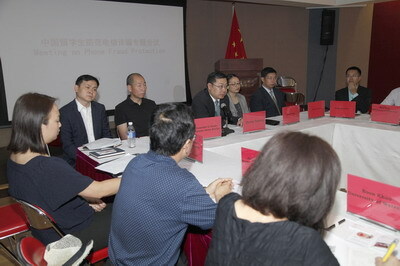 On June 29th, 2018, the Consulate General of the People's Republic of China in Toronto held a special meeting in a bid to help Chinese students in Ontario and Manitoba stay alert of telephone fraud attempts. On behalf of the Consulate General, Acting Consul General Mr. ZHUANG Yaodong delivered a speech at the meeting attended by more than 20 representatives from the Toronto Police Service and international offices of various higher institutions (such as the University of Toronto, York University, and Wilfrid Laurier University, etc.). Deputy Consul General HONG Hong, Educational Counselor ZHANG Yiqun, and relevant staff members of the Consulate were also in attendance. 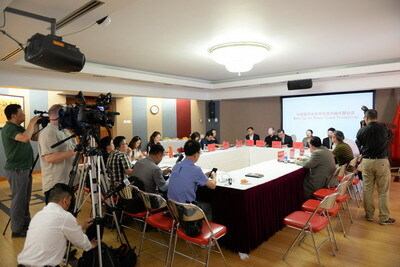 Acting Consul General ZHUANG Yaodong said that the recent cases of telephone fraud and "virtual kidnapping/extortion" perpetrated against Chinese students are high on the list of the Consulate's priorities and active measures have been taken to prevent and respond to such cases. As telephone fraud is a textbook example of transnational crime, it is extremely difficult to track the suspects and/or retrieve relevant losses for victims. Therefore, it is imperative that the focus of our efforts be on preventative measures and improving fraud-awareness among students. The Consulate has issued a number of special warnings on our official website, official WeChat account(枫雪湖畔) and through various media outlets in Toronto. The Consulate General hopes to establish closer and more efficient working collaboration with local universities, colleges and other educational institutions in an attempt to pass relevant warnings to each and every Chinese student in a timely fashion. Constable LI Xiaobo from the Toronto Police Service described the tactics frequently used by phone fraudsters; he stressed that people should be alert about suspicious calls and remember the principle of NOT relinquishing "your trust, your private information, or your money" to any stranger over the phone. By following this principle, people will not fall victim to fraudsters. Constable LI said the Toronto Police Service is willing to collaborate with the Consulate General of China and relevant universities in school orientations and other events to pass on fraud prevention information as well as personal and financial safety reminders to Chinese students in Toronto. 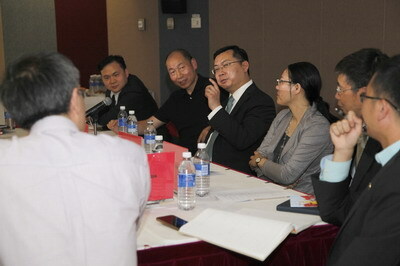 University representatives also shared experiences and compared notes about telephone fraud prevention. They suggested producing a concise "anti-fraud formula" for international students and creating an information network between universities, parents, communities and international students. They indicated they would like to work with the Consulate General and the police to distribute relevant warnings to international students.